We're considering a CCF reunion this summer (2017) on the Lake James chain in Steuben Co, IN, the second one to be held here. Any thoughts, suggestions, other input are definitely welcome! For those of you not familiar with this area, it is the home of the former Midwest Correct Craft distribution, etc. center and there are countless CC owners on the multiple lakes in the county. Can be a great time for all! Sounds great. May I suggest July 7-8-9? Certainly sounds good here. Nice lodge and campground. We were penciling in a July weekend at lake James so we could bring the Hurricane to the wood boat show, that is usually late July. 2 years ago We did the wood boat show on Saturday and then Skied with Tom and Sue on Sunday and had a blast. Anyway, we'd probably be in for any weekend you guys pick but let's get a date down and make it happen. wow...Lake James. Used to vacation there when I was a wee lad. Stayed at the Potwattamie Inn....(sp? )....Pokagan State Park. [QUOTE=Hollywood] Sounds great. May I suggest July 7-8-9? Looks like fun. Gonna ask the wife. Pick a weekend. We'd be in for this. Soo July 6,7,&8 it is? The 6 is a Thursday Im coming from Co so it might be Friday thru Sun for me but Ill reserve the sight for Thursday night. Works for me also. 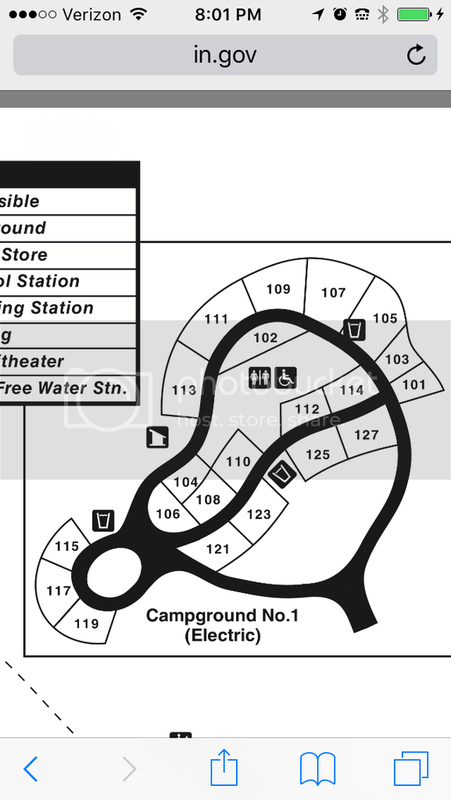 Is the Park the best (or only) place to get an RV site?? At the last reunion we stayed at campground #1. Beautiful views, pleanty of RV room and overnight dock space below. They do tend to get booked quickly. I do believe that weekend is a bust as Lake James' 4th of July celebration is that Sat. and the place is a living madhouse then, from what I'm told. May want to hang on till Sue makes mention before booking anything.. She's also trying to tie it in with the local marina guys so there is a space for the boat display etc. Hah, don't think Madhouse is reserved for that weekend though, one of the mornings me Kirk and Paul were skiing the tubers started hitting the water just after 7am, definitely not a good skiing lake on the weekends. We are a no go for sure if either weekend before/after the 4th, that is our annual Glen Lake trip.time. If Green Lake is cancelled this year then we need something to replace it. 3 years is too long and we don't want Quinner to miss an oprotunity to damage his new swim platform. I agree that 4th of July weekend is going to be a disaster, but getting dates on the table will likely increase participation. Who's bringing the tube canon? Talking with Sue today, they would be looking at the weekend of July 14/15. She will get after the local marina and try to solidify plans in the next week or two. Anyways, that the weekend you should be planning towards.. Sounds like a good time. If you're not a camper, are there recommended accommodations in the area? Now that I have a decent trailer, I'll see if we can make it. 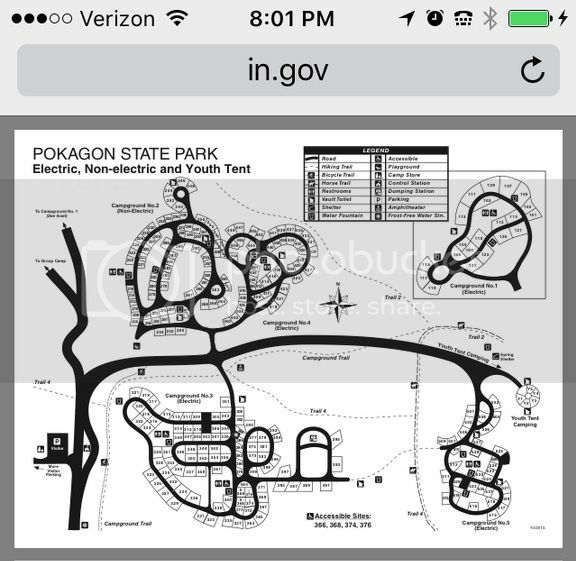 Just north of Pokagon State Park, south of I-90 along I-69, are some hotels (Holiday Inn, Confort Inn, ect) or if available in the State Park is Potawatomi Inn. I have also had good luck doing VRBO.com or AirBnB.com. It's a great lake and good times. 1976 Martinique,350 Omc. 1975 Glastron/Carlson CV16,115 Merc. just grabbed 106, not sure what boat we'll bring though.